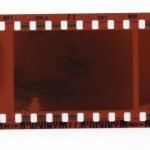 Photo Solutions offers different levels of slide and negative scans. The level you choose depends upon what you will be using the digital files for in the future. If you would like the ability to print larger prints from these files, we recommend high or super high resolution. If you will be using the photos for smaller prints, slide shows, webpages, etc, standard resolution would probably work for your needs. Typically, standard resolution will be scanned around 1200 pixels per inch, high will be around 1800 pixels per inch and super high will be around 2400 pixels per inch. When scanning your negatives or slides, we will clean off any loose dust or debris that may have accumulated over the years. 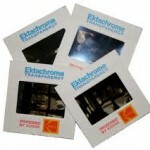 We also color correct the images, as many fade over years of storage. If you do not wish for the images to be color corrected, you must request that when you bring your order in. 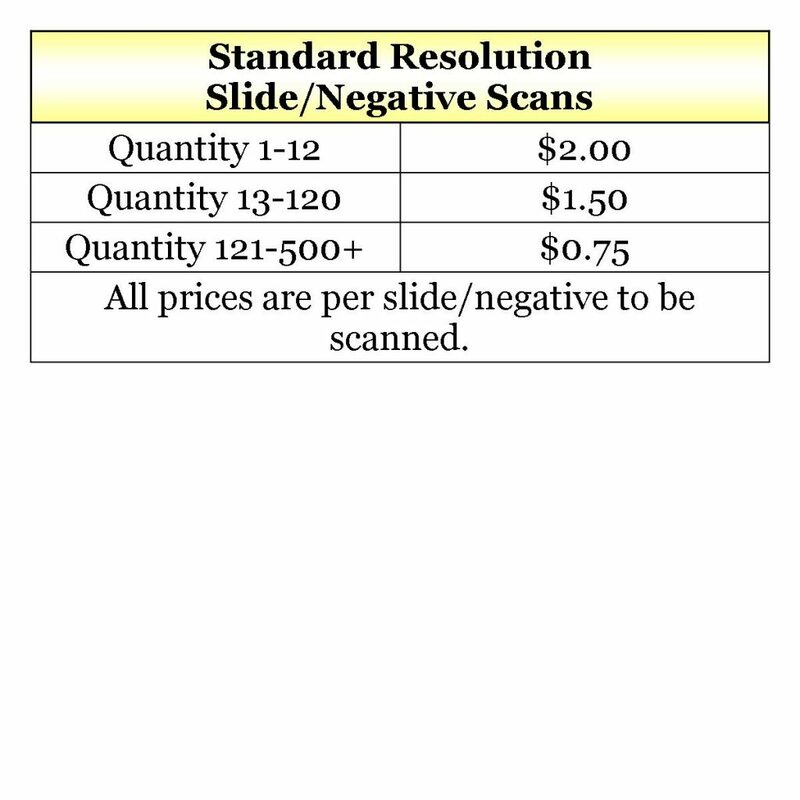 Below are the price lists for each type of negative or slide scan. 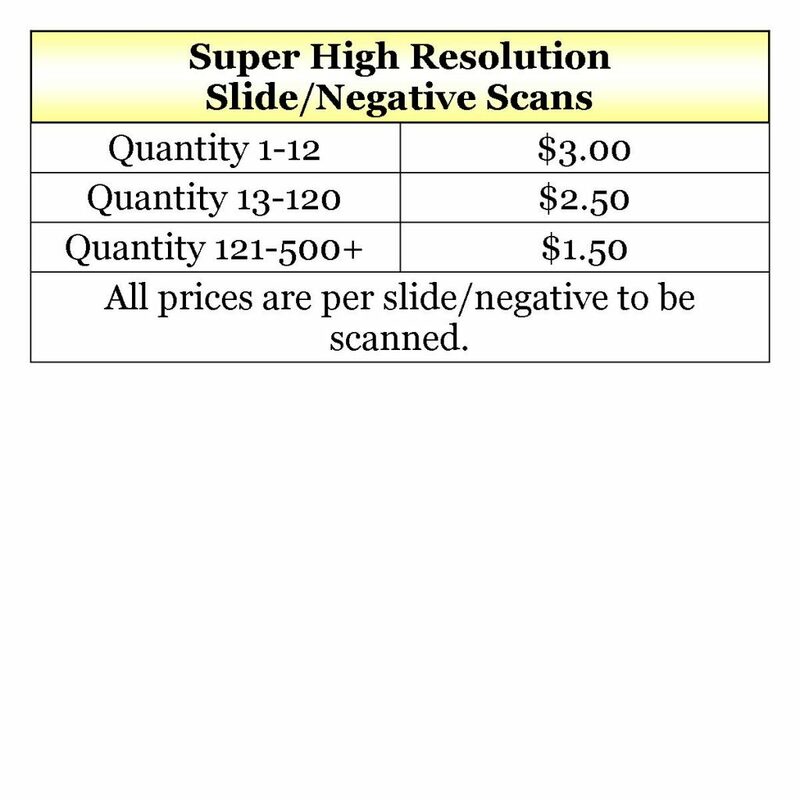 The quantities refer to the total number of negatives or slides that you have to scan. 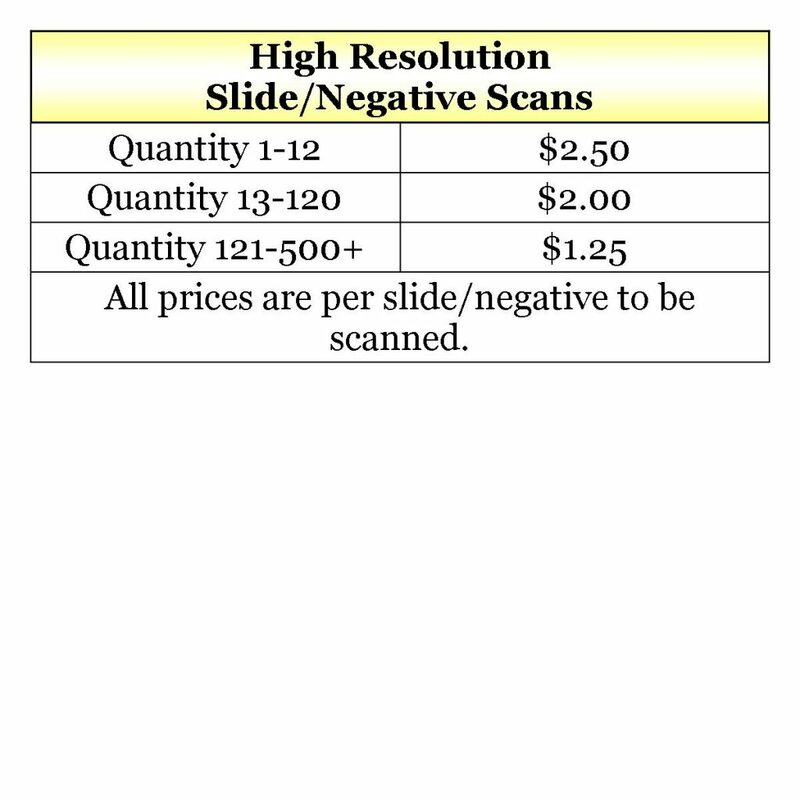 The price listed is per negative or slide.